Last week I introduced you to April from withaflourish on Etsy. 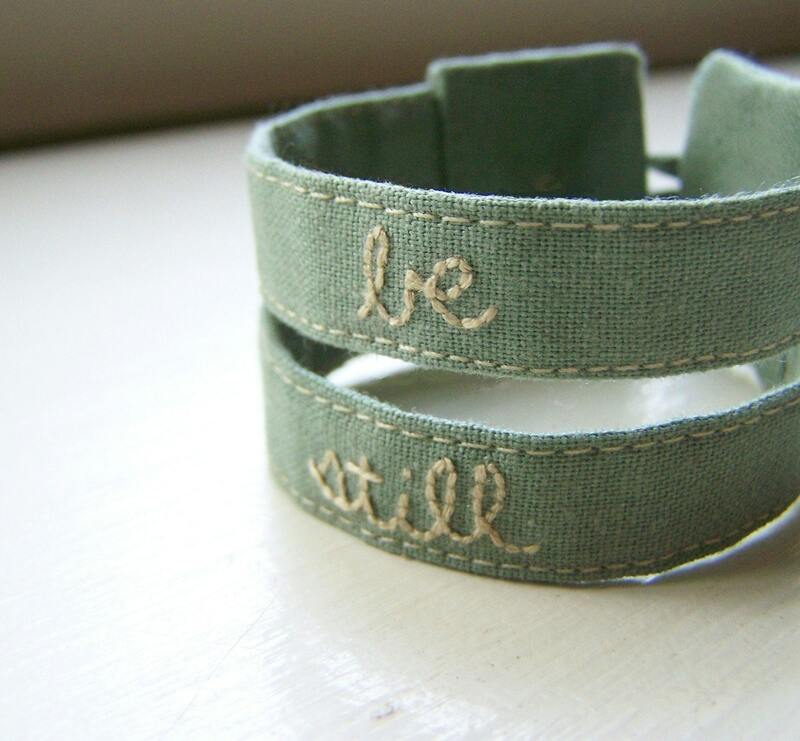 This week I’d like to introduce you to another of my Etsy Friends, Amy from PonderandStitch! 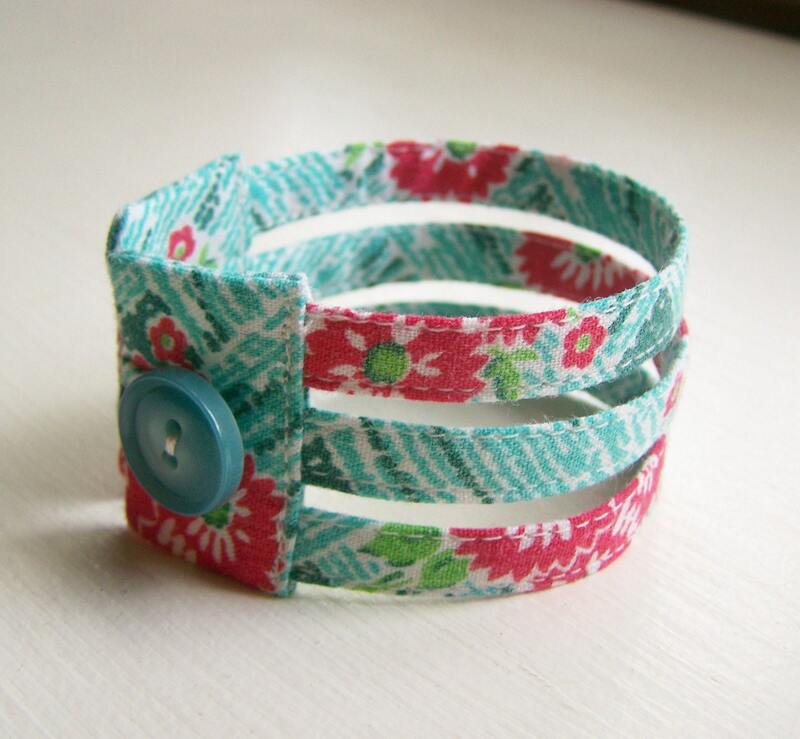 Amy’s Etsy store is full of fun, fabric cuffs made from repurposed and upcycled vintage fabrics and materials. Her craftsmanship in exquisite and she has a genuine eye for style and originality. Amy stocks a variety of designs, which are similar but have different sensibilities. She gives each style it’s own personality through her choice of material and embellishment. All are finished with a thoughtfully chosen vintage button as well. Here are some of my favorites. Amy is very willing to do custom work as well, so if there is something special you’d like embroidered onto a cuff, all you have to do is ask. 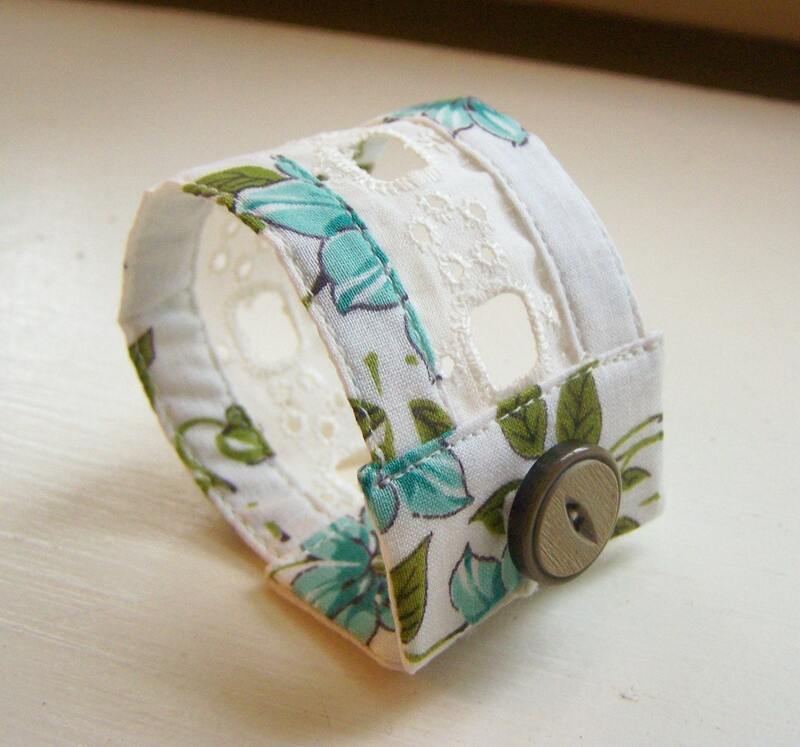 Although Amy’s shop focuses mainly on these fancy cuffs, you’ll find some other surprises there as well so don’t be shy, head over and check it out. In addition to being and fantastic crafter and Etsy friend, Amy maintains a lovely blog, which I also suggest you check out. Have I given you enough things to marvel at yet?